Home / spirituality / Anonymous Shared Another Shocking Video, This Time ONLY To The Indigo Children! 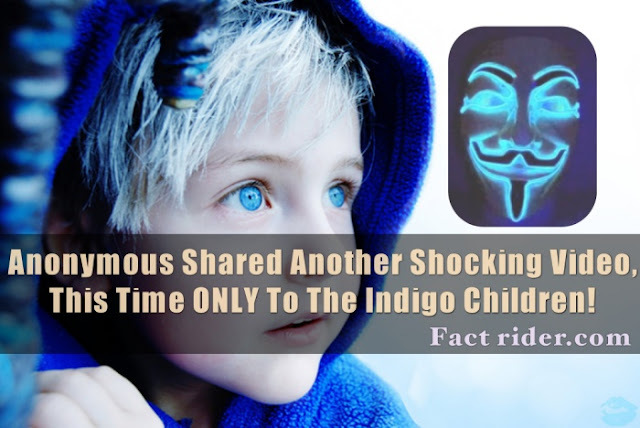 Anonymous Shared Another Shocking Video, This Time ONLY To The Indigo Children! Once again Anonymous shared powerful video only to the crystal, indigo, and rainbow children! Ugh. Don't bother. I have a personal rule: NEVER give any thought to anyone who can't (or won't) look you in the eye. Ditto for ALL audio/videos with this horrific robotic voices. I don't see the need for them other than, what? Mystery? Paranoia? Most likely a marketing gambit; a way to stand out on YouTube. Problem is, there's so much TRULY OUTSTANDING info there already...that you don't need to bother with THIS crap. GROW UP, ANONYMOUS! Stand up for what you claim to believe in, or GO HOME.